There is no doubt that Google Nexus 7 is great. However,Google Nexus 7 also has a few drawbacks,like the storage space is not expandable and only one camera. Why not try Ainol Novo 7 Venus? Ainol Novo 7 Venus is a great alternative in my opinion. It is also powered by Quad Core CPU ACT-ATM7029 based on Cortex A9 that runs up to 1.5GHz,it has dual cameras,features the same 7 inch 1280X800 IPS screen as Google Nexus 7. One drawback of Ainol Novo 7 Venus is that it has 8GB Nand Flash,but expandable to 32GB - this is very important and matters,I like this.It's sold at $149.99 only from JSXL Technology. I share this just because I think the more choices of Tablet PCs,the better for us. "...this identical tablet is also available through ASUS and coincidentally they have a tablet called Nexus 7 available on its website... Google contracted ASUS to build this tablet and it appears all they did was slap their name on it..." No, not correct. Google contracts with one manufacturer to collaborate on each of its Nexus devices. Those devices are then the showcase product in each category. 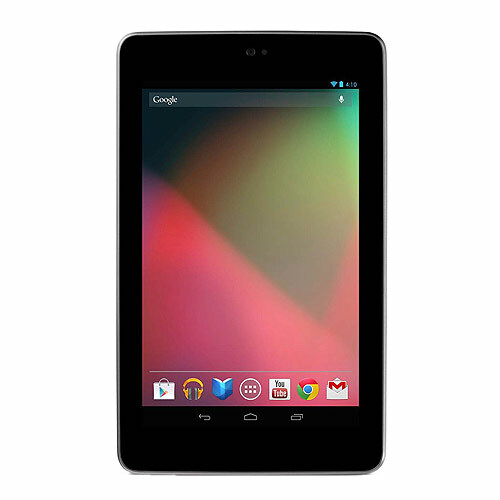 For the Nexus 7 it was Asus, LG was chosen for the Nexus 4 and Samsung was the partner for the Nexus 10. The devices are a design and marketing collaboration, and could hardly be further from your "slap their name on it" label. Secondly, while I realize ratings are subjective, giving the PlayBook a higher score than the Nexus 7 is, well, let's say surprising. I have both in my office right now. The Nexus 7 has a better battery and a superior screen (170 vs. 216 ppi), it's significantly lighter and the appearance and build quality are better. The PlayBook does better on cameras, of course, but few people reach for a 7-inch tablet when they want to take a photo. But put all of that aside: the most important difference is that the Nexus 7 runs a modern and constantly improving operating system that has the largest mobile OS market share in the world. That means Nexus owners have access to the second-largest apps market, plus a large movie, book and music store. 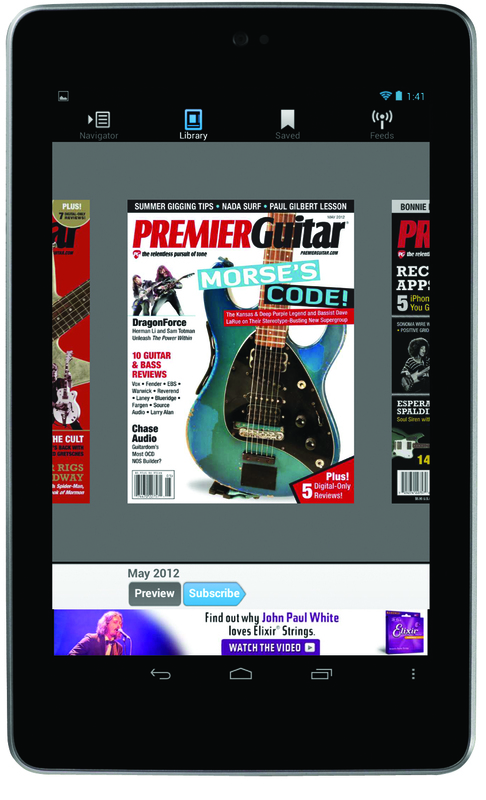 By contrast, PlayBook owners get a handful of apps, often without the most popular and useful apps. There is only no reason to choose a PlayBook over a Nexus 7: it's a Canadian product. That's a good reason, but one the reviewer does not cite. Other than that, there is no reason to prefer a PlayBook over the Google/Asus product. One more point: publishers looking to get into the e-magazine field would be well advised to ignore the PlayBook's tiny installed base and concentrate instead on the massive and growing Android community. Comparison with any product from RIM, a company on the verge of bankruptcy, seems an iffy proposition.